RE-Roofed 2012 A/C 2013NO BOND on this Cozumel Model Designer Stucco home in The Village of Palo Alto. Being located close to Tierra Del Sol Golf and Country Club and Rec Center means you have so much on your doorstep. Championship Golf, Bar and Restaurant, occasional Theatre Events, Swimming Pool, Pickelball and use of the Rec Center. You are ideally located for golf cart access to either Spanish Springs or Lake Sumter Town Squares.The home will need some TLC and is a great opportunity for someone looking to put their own mark on a home in The Villages. 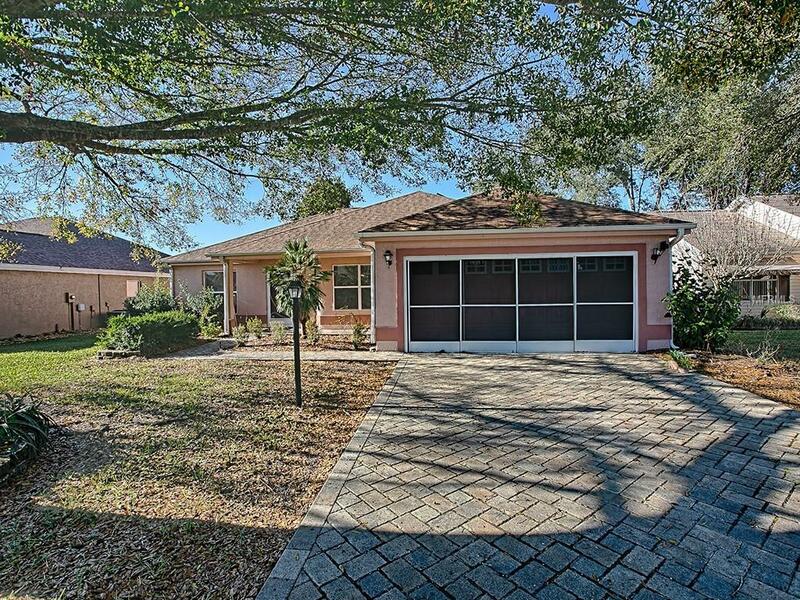 With a 2 car garage, Florida room, separate kitchen and dinette area, mature trees and shrubbery, guests bedrooms on the opposite side of the home to the Master suite and a great sized open Plan Living area you will enjoy making this house your home!